On his annual New Year Day’s speech on North Korea’s state-controlled television, Kim Jong-un mixed a threat of nuclear attack over the continental United States with an offer to send athletes to the Winter Olympics taking place next month in South Korea. The North Korean leader emphasized the importance of de-escalating tensions between the North and the South, and of taking steps toward peace, with his overture being quickly answered by South Korea. President Moon Jae-in embraced the offer of talks, and the two Korea’s border hotline has since been restored. Interestingly, as noted by a 38 North analyst, “the announcement sets up a positive, nearly personal relationship between the highest authorities of the two Koreas”. On January 9, formal face-to-face talks occurred between senior officials of the two nations, the firsts since December 2015. Since then, Pyongyang has conducted three nuclear tests, launched dozens of missiles, and has been the target of an increasingly harsh sanction regime. 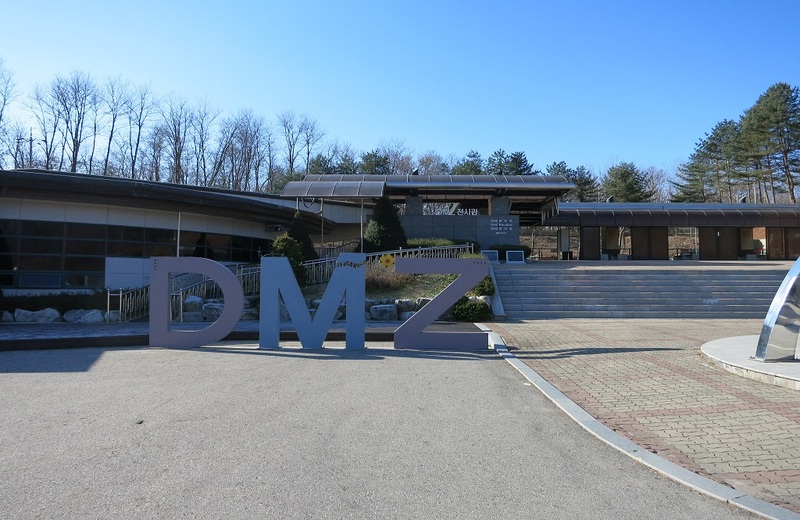 After being gathered for about 11 hours in Panmunjom, the village where the 1953 Korean armistice was signed, delegates from the two countries agreed to hold military talks, in addition to further high-level dialogue. In addition, North Korea plans to send a delegation of athletes, officials, art performers, a cheering squad, martial artists, observers, and journalists to the Winter Olympics in PyeongChang. However, North Korea’s representatives refused to address the country’s nuclear weapons, stating that they were exclusively aimed at the U.S., not South Korea, Russia, or China. At the request of President Moon, Donald Trump has agreed to delay the annual U.S.-South Korean military drills until March 18, the last day of the Paralympic Games. In spite of the inflammatory messages tweeted by the U.S. President following Kim Jong-un’s New Year Day’s speech (and over the course of his presidency), he has supported the gathering, saying that “a lot of good talks are happening right now”, and that they would “hopefully (…) lead to a success for the world”. Nevertheless, the U.S. administration suspects that North Korean’s overture may be an attempt to cause discord between the two allies, and has stated that any talks including the United States will need to address the Peninsula’s denuclearization. In the meantime, it was reported on January 9 that U.S. officials were debating the viability of a limited military strike without sparking of a full-blown war. According to an article on 38 North, Pyongyang’s foreign ministry officials believe that South Korea has yet to realize that the Trump administration is preparing a preventive war against their nation, having emphasized that North Korea’s soldiers “have long been sleeping without removing their boots”, and acknowledging that war is only a matter of time. Thus, they see the expanding U.S.-South Korean military drills as far from routine, particularly as new elements have been introduced, such as stealth aircraft. In addition, while considering their nuclear program beyond negotiation, no doubt transpires on the fact that attacking the U.S. would be ‘suicidal’. Instead, they attempt to attain some level of ‘nuclear parity’ so that their nation’s survival can be guaranteed. Donald Trump has surely stated his willingness to use nuclear weapons and increase his state’s nuclear arsenal, emphasizing that all options were on the table. However, the operational danger of military escalation following the use of tactical nuclear weapons (or conventional, for that matter) is cause for extreme concern, leading many arms control advocates to voice their alarm. In general, security analysts believe that expectations, at least at such early stages should be low, in spite of seeing the new efforts for improving ties between the two countries in good light. Kim Jong-un acknowledged in his 2018 New Year’s speech the “difficult living conditions caused by life-threatening sanctions and containment”, but also expressed his intentions of strengthening the WMD program. Although this move from the North might divide a South worried about turmoil during the Winter Olympics, and prevent further incentives for sanctions or military action targeting the Peninsula, it is important that the South Korean negotiating parties remain focused on the most central issues, even if it is tempting to slowly pave the way for new, more problematic dialogue with North Korea. The denuclearization of North Korea is currently a remote possibility, but a freeze is still a sensible goal. For that to occur, however, the United States need a seat at the negotiating table, and for their leader to stop adding fuel to the fire. A Johns Hopkins’ University-run website focused on the study of North Korea.